 We would like our customers to feel confident to purchase from us and have outlined our Terms & Conditions below which are very important in enabling you to have the safety and peace of mind to place orders and trade with Pink Sky Trading Ltd via the www.buttercupfarm.co.uk website. All orders placed through this website shall be liable to adherence to the following terms and conditions. *Generally we offer free delivery to the UK Mainland but some remote areas may incur a delivery surcharge. These may/may not include the Channel Islands, Northern Ireland, Isle of Mann, Scilly Isles, Isle of Wight, Scottish Highlands & Islands. UK deliveries of the products shown on our website are carried out by independent companies/carriers. Therefore, although we can offer a guidance and communication to these supplier/carriers, specific days and times are outside of our control and delays, although rare, are sometimes unavoidable. Goods will be sent to the address given by you in your order. In the event of a failed delivery due to the customer supplying incorrect delivery information or being unavailable to receive the delivery, any failed delivery charges incurred by us will be passed onto the customer. For deliveries outside of the UK Mainland, we will always attempt to accommodate any customer requirement. For all countries outside of the UK please contact us for a delivery quotation. A number of products on our website are delivered flat-packed for self-assembly, if you are unsure, please check prior to ordering. Please note that we reserve the right to alter product specifications without notice, if deemed necessary or to improve performance. Notification to Pink Sky Trading Ltd must be made within 7 days of receipt of your goods, in writing via e-mail to pinkskytrading@gmail.com and fully outlining the relevant issue / cause for the requirement to return the said goods. In the unlikely event that goods arrive faulty or damaged, please inform us immediately so that we can replace them in part or whole in accordance with your statutory rights. The customer is liable for the cost of return of goods and/or any failed delivery/return costs incurred by us with third party couriers. If the customer wishes to return items that are as a result of change of mind, goods must be returned in original packaging and of pristine condition to receive a refund and the customer is liable for the cost of return. Pink Sky Trading Ltd will make a pre-advised charge for the collection of goods from your premises. If you refuse to accept delivery of all or part of your order (where the product does not appear to be damaged or defective) you will be responsible for the postage charges. Any fees and charges incurred by Pink Sky Trading Ltd due to a package being refused will be deducted from your refund. The United Kingdom’s Consumer Protection Regulations allow you to cancel your contract within 14 working days from our receipt of your order to receive a full refund of any payments made to Pink Sky Trading Ltd. However, if the goods have already been despatched to a carrier and are already in transit, you would be liable for the cost of the return of the goods to us. Order cancellations must be sent by email or by post to facilitate this cancellation. You must send either a letter or e.mail (pinkskytrading@gmail.com) quoting the order reference number and your name and address. Every aspect of the contractual agreement entered into as a direct result of the placing and processing of orders via this website shall be governed by UK law. All prices quoted on this website are inclusive of all relevant sales taxes. Overseas Purchases - This web site only has facility for United Kingdom (£) GBP sales. We will make every effort to accommodate any enquiry from overseas, but overseas prospective purchasers should always contact us for details at pinkskytrading@gmail.com prior to engaging further in the purchasing process and products ordered for overseas deliveries should not be made via our website. Please telephone us to order. any payments due to us are not made at the designated time that these payments are required. The terms of the contract as laid down within this section are breached. Requested information required (within a designated time) to enable us to determine the validity and accuracy of both identities is not forthcoming, along with any further subsequent information required by ourselves. We suspect engagement in fraudulent and / or illegal activity through use of our website. By purchasing goods via this site, you are entering directly into a contract with Pink Sky Trading Ltd, 3rd floor,The Pinnacle, Central Court, Station Way, Crawley,West Sussex,RH10 1JH. Only persons of eighteen years and older may purchase goods via this site. By placing an order via this website, you undertake that all details you provide to Pink Sky Trading Ltd for the purpose of are correct. You are also undertaking that the credit or debit card that you are using is your own and that there are sufficient funds to cover the cost of the purchases made. It is your responsibility to inform Pink Sky Trading Ltd of any changes to the information that you have provided whilst placing your order as soon as possible. Pink Sky Trading Ltd may amend these Terms from time to time, and place the new version on the website. However, this will not affect existing orders which will be honoured. If you have any questions regarding these business terms please do not hesitate to contact us.